In this study, five children have been given a new ear. In the 1990s, an ear was grown on the back of the famous “Vacanti mouse,” sparking controversy while giving hope to medical researchers and patients worldwide. 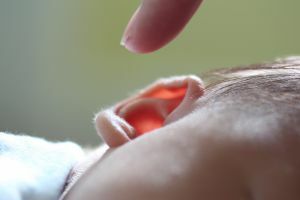 Now, in a new study, children with an underdeveloped ear from the condition known as microtia were given new ears grown from their own cells. This accomplishment is a world first, and has “shown that it is possible to get close to restoring the ear structure,” said Tessa Hadlock, of the Massachusetts Eye and Ear Infirmary in Boston, in an interview with New Scientist. Typical treatments for this underdevelopment are either a prosthetic ear or cartilage from the patient’s ribs that is shaped like an ear. Both of these options have major issues — prosthetic ears are prone to infection, while creating a false ear from rib cartilage requires delicate, exact, artistic precision and can be a painful procedure for a child to endure. 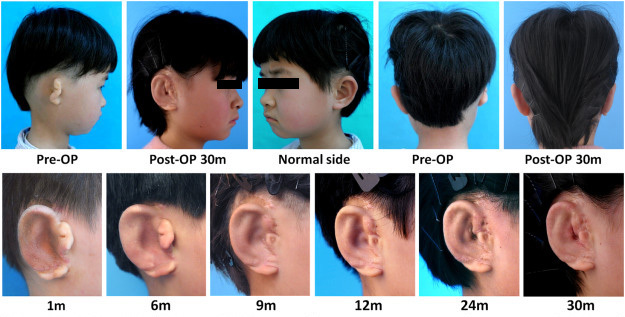 In this study, Guangdong Zhou at Jiao Tong University in Shanghai, China, and colleagues built a degradable structure in the shape of the child’s ear and populated it with cells from the child themselves. The structure was built to dissolve once the ear was fully grown. After 30 months, the ear looks like a “normal” ear. Image Credit: Zhou et al. This is not the team’s first attempt to grow an ear in a similar way. Two and a half years ago, they used a tissue expander within a child’s underdeveloped ear and populated a degradable, porous material within a 3D-printed mold with cells from a tissue sample from the ear. The procedure was successful, and cartilage was produced as the structure degraded. The team is still monitoring this patient but they have reported that she and the ear are doing well. After this first procedure, four more took place with other children. While these studies have shown promise, the final aesthetic results were mixed. All of the grown ears are intact, but some of them have distorted in shape since the initial procedure. Another hurdle that the team has to overcome is that the degradable material that initially sets the shape of the new ears could dissolve into water and cause swelling later on. Additionally, the growth factors used to grow the cells used in the study have been questioned for their safety in humans. This procedure could not only be advanced for clinical use, it could potentially one day be applied to other congenital deformities or in patients with a host of disorders.